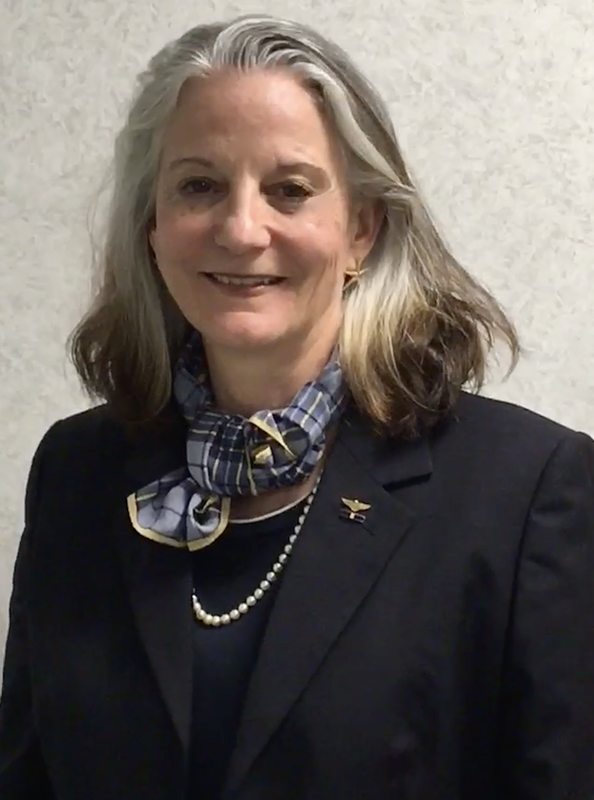 Wendi B. Carpenter is a retired United States Navy flag officer, retiring in 2011 after a distinguished 34-year career with significant operational experience and key roles in organizational transformation, technology development, and innovation, that spanned the US Navy, joint and coalition arenas. Rear Admiral Carpenter was a pioneer of women in Naval Aviation (designated in July 1979), and was the first woman aviator to be promoted to the rank of Admiral in the US Navy. In many other career assignments, she also was a leading pioneer, including several key assignments to United States Second Fleet (as an expert in air warfare command and control and as Deputy Commander). In her final assignment as Commander of the Navy’s Warfare Development Command, she was the Navy’s lead in the development and integration of unmanned systems from seabed to space and launching innovative new information systems and cyber warfare concepts, which impact decision making and operational employment of resources. As a Naval aviator she was an instructor pilot, aircraft commander, maintenance check pilot, and mission commander, accumulating more than 3500 flight hours in numerous aircraft, with a flawless safety record. Following retirement from the US Navy, Rear Admiral Carpenter became the 10th and first woman president of the State of New York Maritime College, successfully guiding the college through the rigorous 10-year re-accreditation process with the Middle States Commission on Higher Education and the 5 year USCG certification process. She also set new benchmarks in graduation rates and in fund raising for the college. She is most proud of the support and relief provided to surrounding communities in the wake of Hurricane Sandy. Rear Admiral Carpenter is the recipient of numerous civilian and military leadership awards, including the Navy Distinguished Service Medal, the Defense Superior Service Medal, and the Federal Law Enforcement Foundation Lifetime Community Service Award. She holds a BS degree in Psychology from the University of Georgia, a Masters of Arts in International Relations from Salve Regina University, and is a Distinguished Graduate of the US Naval War College, with a Strategic Studies concentration. She has also completed numerous executive programs at Babson College, the University of North Carolina Business School and the NATO School in Germany. Rear Admiral Carpenter has operated as an independent consultant since departing as President of SUNY Maritime College. She serves as a member of numerous advisory and nonprofit boards and is certified in Board Governance through the National Association of Corporate Directors. She is a frequent speaker and panelist on the topic of leadership and particularly enjoys participating in programs designed to positively motivate and influence the youth of the nation. Rear Admiral Carpenter is the mother of two adult children, Jordan and Rachel, and she resides in Atlanta, Georgia.